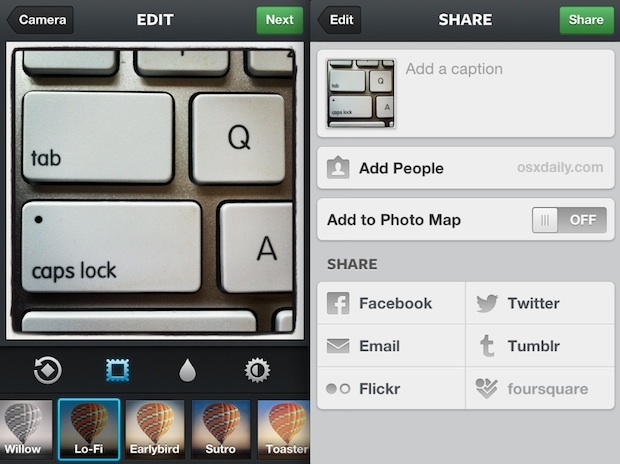 Instagram, the popular photo sharing app for iOS, recently added video support that allows users to post filtered videos to their picture collections. 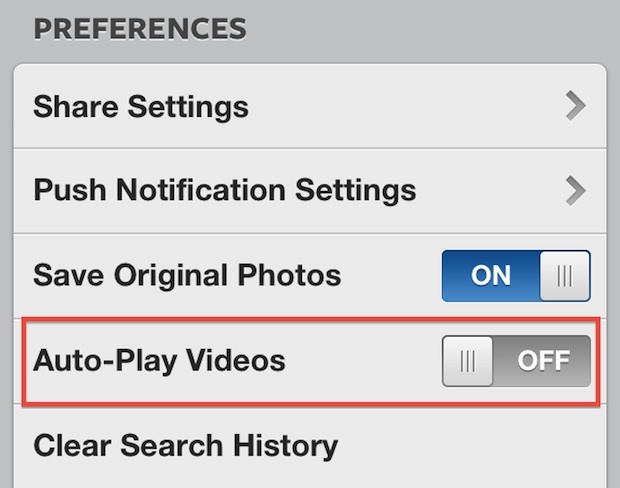 Browsing through an Instagram feed now results in quite a few videos that auto-play by default, an aspect which can be pretty obnoxious if you want to keep quiet. Perhaps worse than the auto-play audio though is that it also will consume a fair amount of bandwidth over time, especially if you follow a lot of people posting videos and you’re on a 3G or LTE connection. The reason is pretty simple, video, even short ones, are much larger to download than a simple static photo. 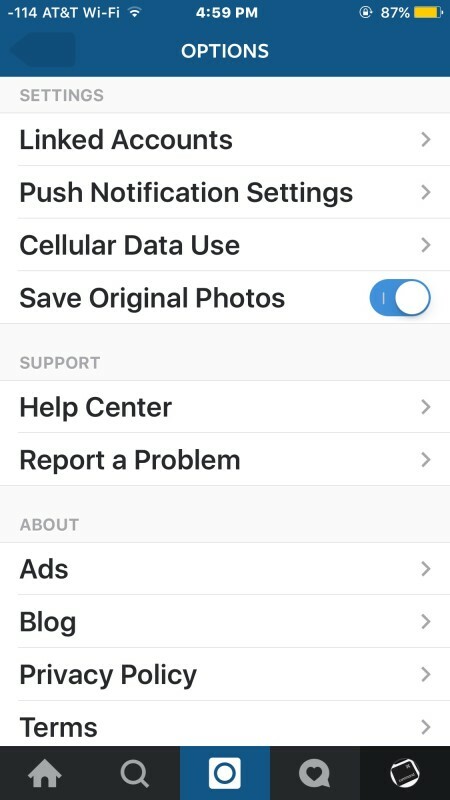 Not to worry, you can turn off video auto-play on the Instagram app for iPhone and for Android, we’ll show you exactly how to do this regardless of the version of the Instagram app you are running. 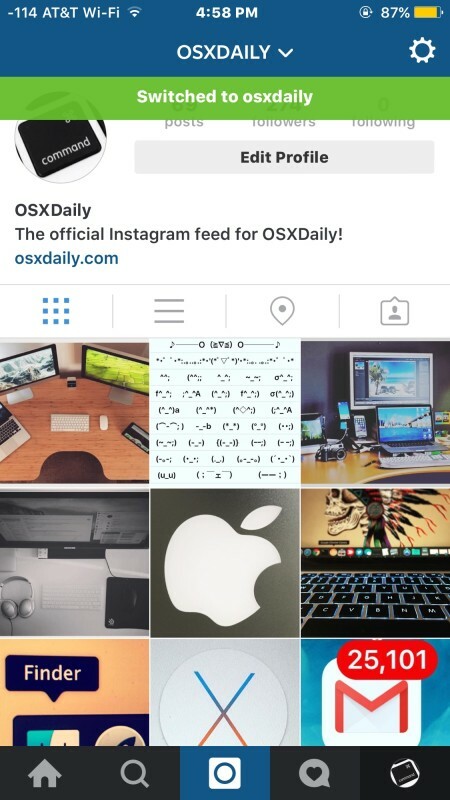 No more preloading videos, and no more auto-playing videos in Instagram! Regardless of the version, this doesn’t disable Instagram videos, it just makes it so you have to tap directly on them for them to start to download and play.It turns off auto-playing videos on Instagram only. Even if you love the Instagram video feature, unless you have a generous cellular data plan with significant bandwidth, you’ll probably want to turn off the auto-play ability to preserve some of that preciously overpriced cell plan.